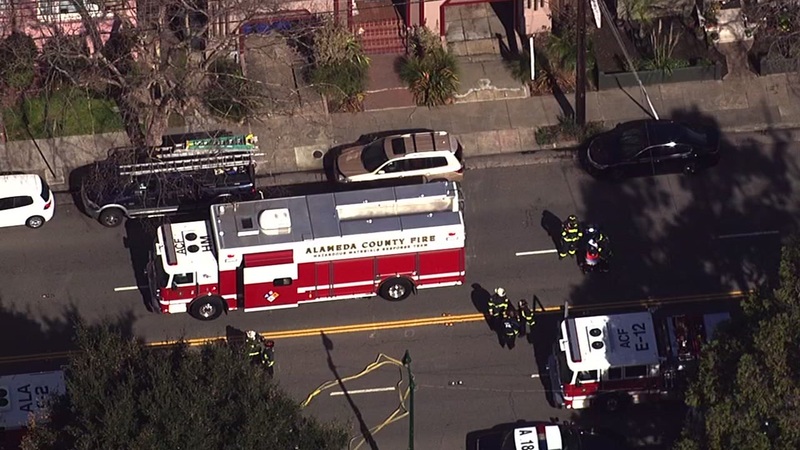 ALAMEDA, Calif. -- Reports of a natural gas leak inside an Alameda residence Thursday morning appear to be unfounded but firefighters found a different unidentified substance inside, officials said. A possible gas leak was reported at 10:28 a.m. inside a residence in the area of 700 Central Ave., according to Alameda Fire Capt. Jim Colburn. PG&E crews responded to the home but did not detect any gas in the air. As a precaution, firefighters asked them to shut the gas off for the home and PG&E crews remain in the area to assist, PG&E spokeswoman Tamar Sarkissian said. Firefighters found a small amount of a solid unknown substance inside the residence and called in a hazardous materials team to assist them, according to Colburn. As of about 12:15 p.m., they were still working on making sure the area is safe. Residents have been asked to avoid the area.